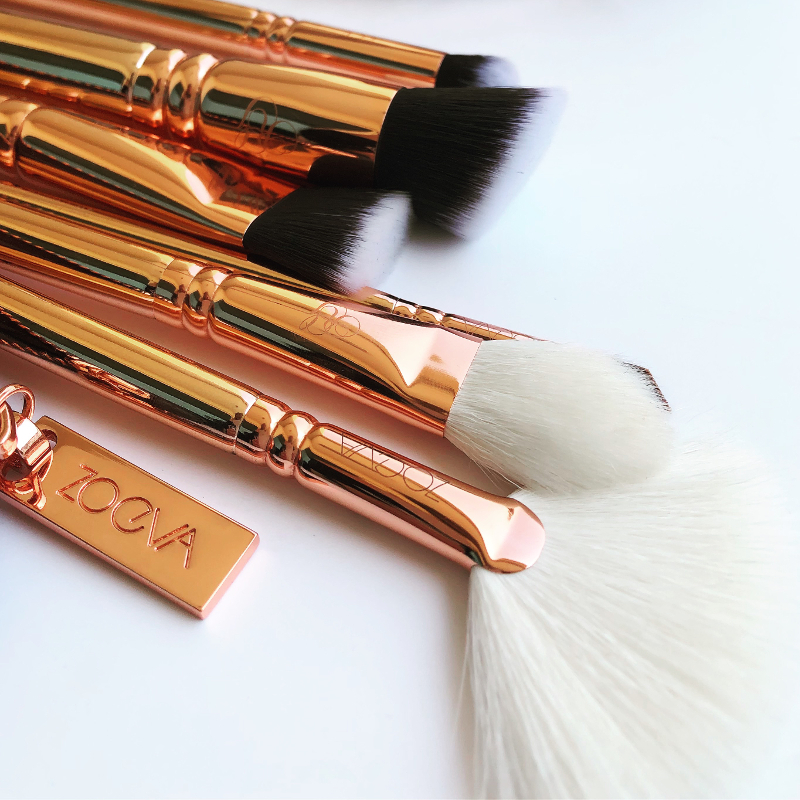 As the rose gold trend continues, Zoeva joined the party by launching a further limited edition brush set in full rose gold glory! The Rose Golden Luxury Set Vol. 3 launched in the middle east online via Sephora and retails for 415 AED - When I first saw these brushes online I knew I had to have them even though I have enough brushes to last a lifetime! Each handcrafted brush is made with the most delicate natural, and synthetic hair and the quality is clear from the softness down to each brushes ability to hold product and blend exceedingly well. I am a big fan of the brand and have to say that the Zoeva team has surpassed my expectations with this newest addition to the holy trilogy, which IF YOU CAN BELIEVE IT has an even more glamorous feel than the earlier editions. 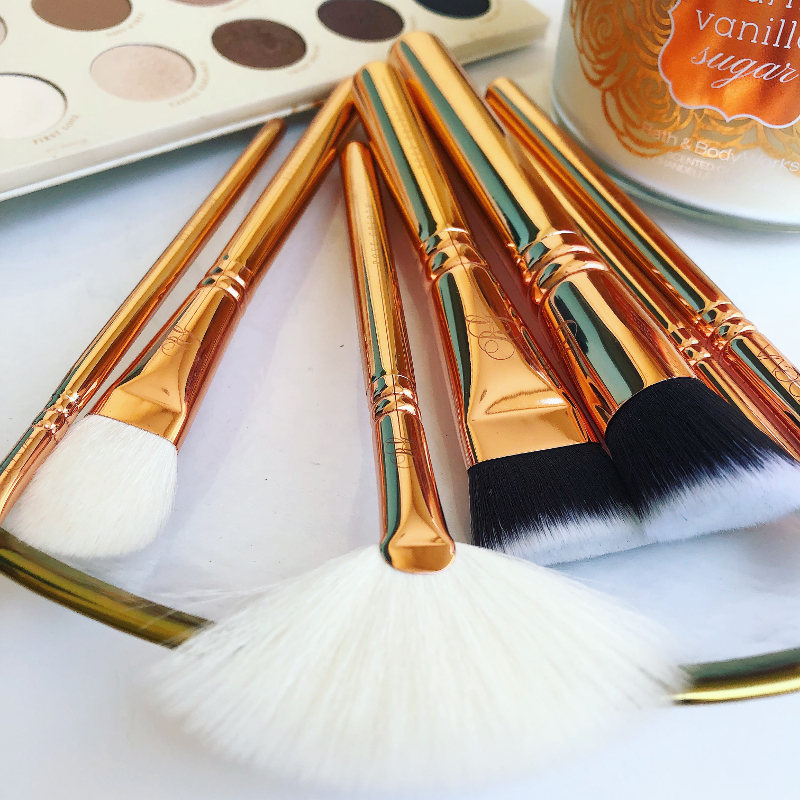 The standout brushes of this set and what I reach for the most = 109V Face Paint Vegan which I use to contour and buff and 228 Luxe Crease which is a broad eyeshadow brush that works well for blending my eyeshadow seamlessly. I would say this collection is reasonably priced for what you get and in my opinion, Zoeva brushes are a beauty tool essential. 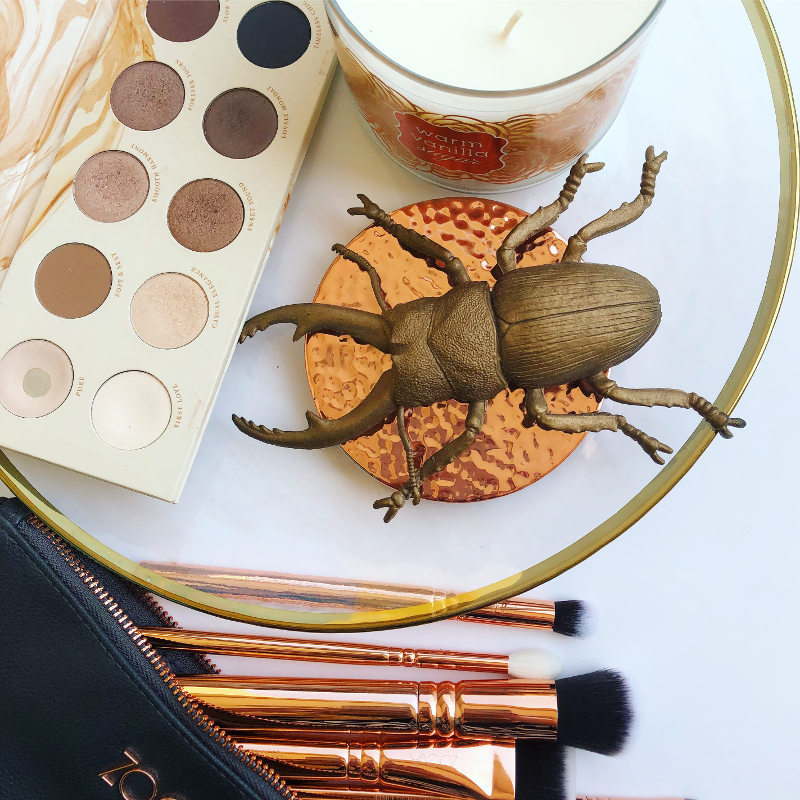 While shopping online at Sephora, I also grabbed an eyeshadow palette from the brand - Zoeva Naturally Yours which is terrific and as you can see the shade Pure is my favourite. Do you own this or any of the Zoeva sets? If so, whats your thoughts on the brushes?